József Pulitzer's was a decidedly American story. He was born near Budapest, Hungary, in 1847, where his father had been a successful merchant. Although József and his siblings received the finest education available, after the father's death the business went bankrupt and the family left destitute. Pulitzer wandered through Europe, hoping to find employment with several different armies. Eventually, his passage to America was paid by recruiters seeking soldiers to fight for the Union in the American Civil War. Upon arriving in Boston, he discovered that his supposed benefactors were pocketing his enlistment bounty, so he snuck away to New York where he was paid $200 to enlist in a German-speaking regiment of the Lincoln Cavalry. After the War, a now penniless Pulitzer hopped a freight car for St. Louis, Missouri After becoming the victim of a labor scam, he wrote a report of the ordeal which was published in German-language Westliche Post. He demonstrated a considerable flair for journalism and eventually bought a share in the paper which he sold to invest in The St. Louis Post and the St. Louis Dispatch which he combined to form the Post-Dispatch, which is still the St. Louis daily paper. From there, he went on to purchase the New York World where his circulation war with William Randolph Hearst linked him with yellow journalism and was one of the inspirations for Orson Welles' Citizen Kane (1941). 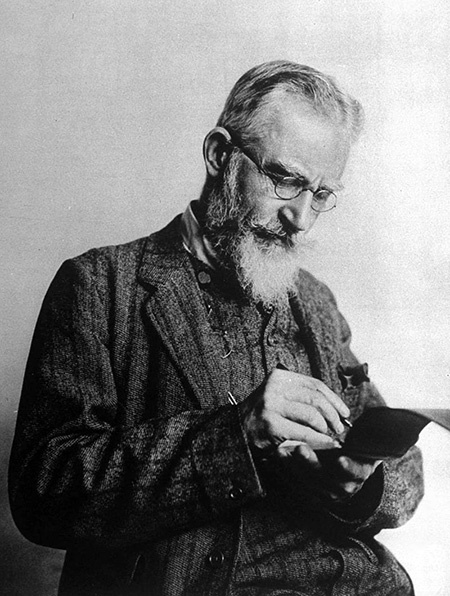 Pulitzer's name is best remembered for the prizes for journalistic excellence which are given annually in his name. The Prizes are administered by the Columbia University School of Journalism which was founded through a bequest from Pulitzer's estate beginning in 1917. In 1938, members of the National Association of Broadcasters realized that there was no similar award to recognize excellence in Broadcasting. A committee was formed to establish an award system. The committee was headed by Lambdin Kay, public service director for WSB Atlanta. Kay was introduced to John E. Drewry, head of the Grady College of Journalism and Mass Media at the University of Georgia. 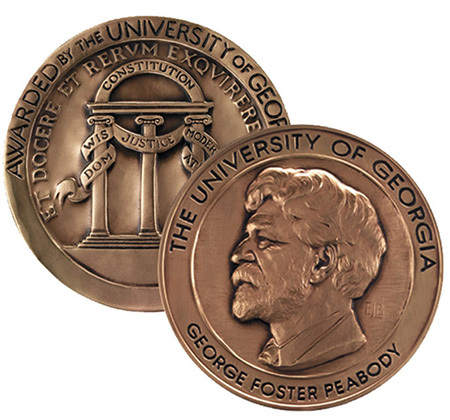 Grady College would administer the awards which were named for businessman and philanthropist George Foster Peabody, who had received an honorary degree from the University in 1906 and provided land and funding to the institution to found the School of Agriculture and the School of Forestry. The Peabody Awards, which recognize distinguished and meritorious service in radio and television (and more recently on the World Wide Web), are unique in that the selections are not made by peer voting like the Oscars or the Emmys and there are no set categories. The only criterion is "Excellence" and there are no set number of awards to be given each year. Submissions begin arriving in early February and they are evaluated by thirty committees made up of University staff and faculty as well as selected students. Each committee submits written recommendations to the Peabody Board of Jurors, composed of approximately 17 scholars, critics, and media professionals. Entrants are judged on their individual merit and only those which have the unanimous approval of the Board of Jurors receive the Award. Winners are traditionally announced via press release, although in recent years some have been announced on segments of CBS This Morning. Formal presentations are usually held at a formal luncheon in New York City in late May or Early June. George Foster Peabody was born in Columbus, Georgia, 1852, the first of four children. His parents were native New Englanders, springing from a long line of merchants back to colonial times. George's father had moved his growing family to Georgia, seeking better opportunities, but the War Between the States wiped out his business. In 1866, the family moved again, this time to Brooklyn, New York, where your George took a job as an errand boy. When he wasn't busy running errands, Peabody spent many hours reading in the library of the Brooklyn YMCA, which he later referred to as his "alma mater". Through church activities, he came to know investment banker Spencer Trask and became a partner in the firm of Trask & Company. Peabody successfully managed the firm's railroad investments, and the company amassed a fortune by underwriting Thomas Edison's electrical distribution company, which later became General Electric. Having built what he felt was a sufficient fortune, Peabody retired from business in 1906 so that he could dedicate his life to philanthropy. He was noted for supporting some relatively radical causes, including women's suffrage, free trade, government ownership of the railways, and advocated a single tax as described by author Henry George in Progress and Poverty (1879). Peabody was active in Democratic Party Politics and was interested in education, serving on the boards of the Hampton Institute, Tuskegee Institute, the Brooklyn Polytechnic Institute, and the University of Georgia. Be the first to comment on "Peabody Winners"